Birdsoff was born in 2001 out of sheer desperation to find solutions to combat the damage birds inflicted on boats, farms and households. Over the years our business has moved from Sydney to the Gold Coast and now we are back in Sydney. The knowledge we have gained through research and testing has been truly fascinating. The products we have sourced have enabled us to confidentially combat any type of bird infestation, specialising in bird mitigation. We know that pest birds and other animals can be conditioned – using their most basic fears and survival instincts – to stay away from areas where a threat is perceived. Many of our solutions mimic that threat, while others create a visual, physical threatening barrier. From electronic devices, ultrasonic technology, bird spikes & visual scares we have the knowledge to send even the most determined of birds packing. As a child growing up in the 70's I have fond memories of my father being obsessed with keeping the birds off his boat. He would spend hours making the most unusual apparatus's to keep the seagulls away. Im not sure who was the winner in the end! As the years have passed I noticed the increasing demand for bird deterrents not only for boats but for the farming populations and the general public. Lifestyles were changing in Australia, the demand for outdoor recreational living and entertaining was growing and unfortunately so to were the bird populations. I am extremely proud of our team, which has grown from the beginning. The Birdsoff team of today have been handpicked to provide the most personal professional service. We know how important customer service is and continually strive to perfect our performance in all areas. As the owner of this business I truly enjoy working together with our customers big or small to formulate the best possible solutions for bird mitigation. 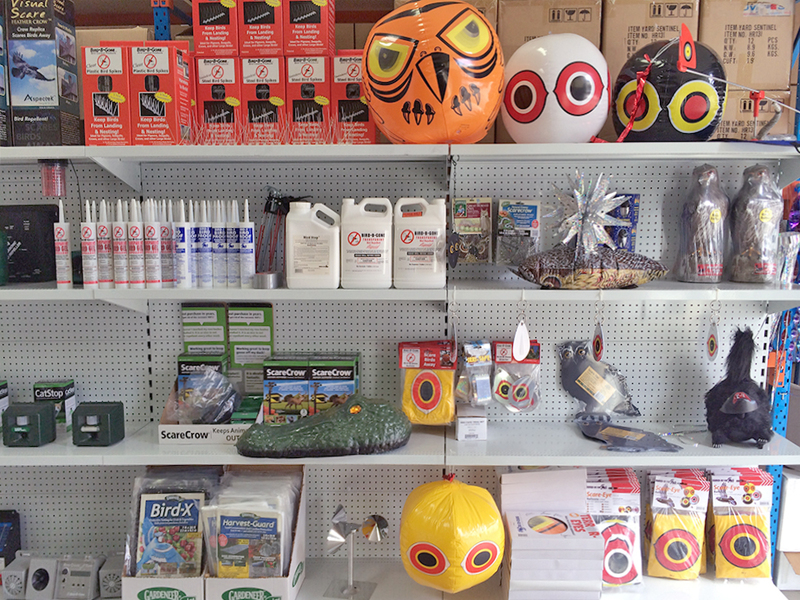 We strive to hold the biggest range, widest choice and best prices for all bird and pest control products in Australia.